The college center is working hard to help seniors meet the Nov. 30 deadline for Cal State and UC applications. All students should turn in their applications before the deadline because procrastination will have its consequences. For out of state colleges and private colleges, the deadline is early January, remember deadlines vary for each college. Last year, the night before Cal State applications were due, there was a blackout that prevented many students from sending in their applications. The college center offers ACT and SAT information. Both exams are accepted equally by colleges, but both test different abilities. Heather Brown, the college counselor, recommends practice exams to see which test is more appealing to a student’s abilities. “There are ACT people and SAT people. I believe your brain is born either way,” said Brown. She urges students not to wait until the last minute to take their exams. “ In my opinion, the SAT tests you on how well you take the exam. The ACT is more what we call an achievement test that sees how much you have learned,” said Brown. Federal Financial Aid (FAFSA) is part of the Dream Act that was recently passed to help “dreamers” pay for college. If students have been a resident of California for at least three years, they can eligable for a Cal Grant. The college center offers more information on FAFSA and also offers workshops to work on applications for the program. The college center holds Cal State and UC workshops on Mondays and Wednesdays from 3-5pm, where students can get help on their applications from Cal State counselors themselves. 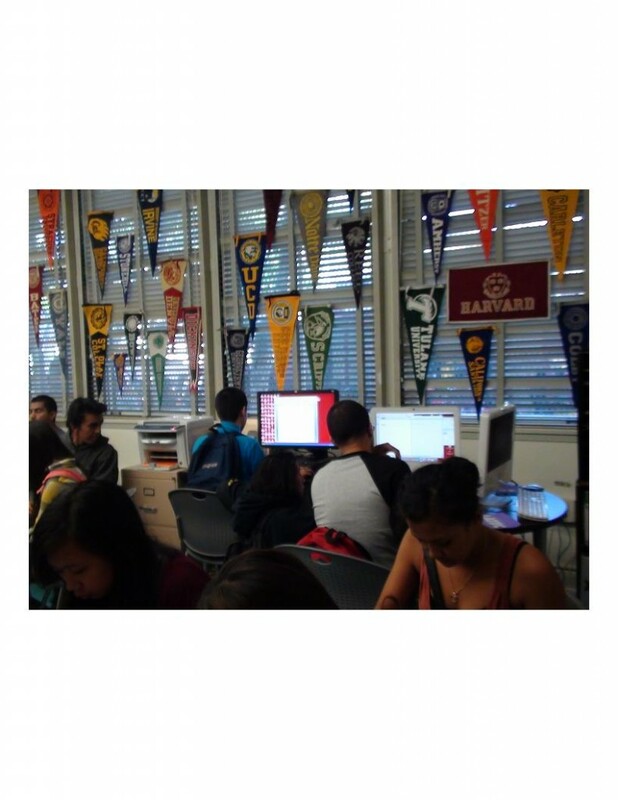 The college center works hard to get college information out to students by using e-blast, flyers, announcements, teachers, and even twitter (@CollegeCenterHH). The college center will be very busy and will continue to be busy for a very long time.